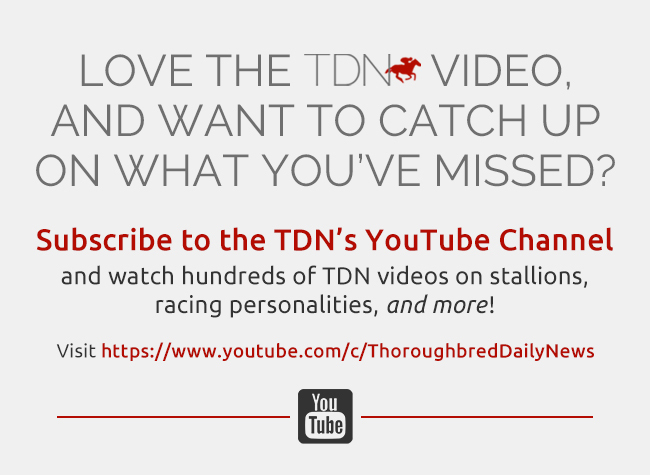 TDN Publisher and CEO Sue Morris Finley caught up with National Thoroughbred Racing Association President and CEO Alex Waldrop to get his take on the hot-button issues being discussed by industry participants in the wake of a rash of breakdowns at Santa Anita. SF: Do you feel like we’re at a crucial crossroads right now, and the decisions we make will set the stage for our future? AW: This is a crucial time for our industry, but we have been at this crossroads before and have emerged in a better place. We live in a completely different world than our predecessors, especially in California, which has the most vocal animal rights lobby in the nation. However, we as an industry do have a history of taking action. When Aqueduct was going through a similar bad spate in 2012, an independent task force identified issues and put measures in place that created a safer racing environment that endures today. When Del Mar found itself at the epicenter of a crisis in 2016, they made meaningful changes and instituted protocols that significantly improved its safety record. Those examples drive home the effectiveness of owners, trainers, and track management making good decisions and implementing real change in the way we conduct our events. Those actions include thinking of the horse first and foremost in every decision. That has to be the goal of every man and woman in this business. SF: There have reportedly been protestors in front of Santa Anita every midday after training, even with the track being closed for racing. How big a concern should this be to the industry? AW: It is never good for your fans or your employees to be subjected to this kind of negativity but, if it were not clear before, it should be clear to all of us that horse injuries and fatalities are the number one threat to our future and we must not let anything deter us from searching out and mitigating every potential risk to the safety and welfare of our equine athletes. This is not simply a public relations challenge; it is a challenge to do everything we can to prevent horse injuries and fatalities both in the morning and the afternoon. That is why we formed the NTRA Safety and Integrity Alliance in 2009, to implement uniform and substantive standards that go to the heart of the problem. The Alliance Code of Standards is meaningful and thoughtfully based on real world experience. The Alliance standards evolve as our industry best practices evolve ensuring that our work is never done. We will keep working and evaluating and measuring to make sure we are doing all we can do to protect our equine and human athletes. Until we actually reduce the number of equine injuries and fatalities, even further, negative voices will be the loudest, irrespective of what we might say or promise to do. SF: PETA has said that no progress has been made since Eight Belles broke down in the 2008 Derby. Is that true? AW: To say that there has been no progress since 2008 just is not supported by the facts. The fact is that The Jockey Club’s excellent Equine Injury Database (EID) proves undeniably that we have improved the situation for all of our human and equine athletes. We have seen a 16% decline in fatalities nationwide since the inception of the EID and we are now in a position to mine the valuable data compiled by the EID over many years to identify risk factors. The Alliance has made huge strides over the past 10 years in implementing uniform safety and integrity protocols that have led to a safer racing environment. 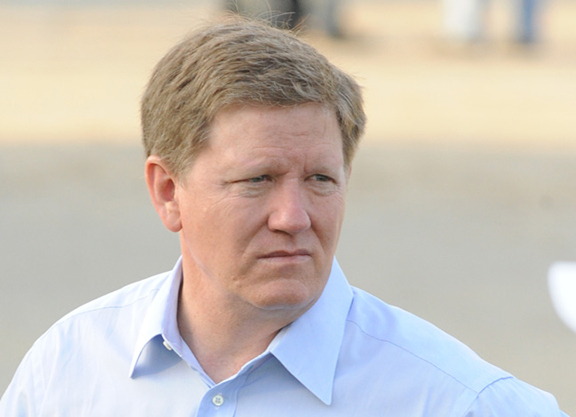 Dr. Mick Peterson has established the Racing Surfaces and Testing Laboratory that has become a vital resource for the industry. Dr. Dionne Benson has led the Racing Medication and Testing Consortium to become a true partner for industry research into the safe, judicious use of therapeutic medication and a more aggressive enforcement of the rules aimed at protecting the integrity of the industry. The list of reforms is extensive and it continues to grow as we identify and implement new and better answers. Whether it’s better education of the dangers of bisphosphonates that may negatively impact bone growth in young horses; more pre- and post-race drug testing and enforcement; more thorough post-mortem evaluations of horses; or better technology to diagnose illness or weakness before it leads to an injury or fatality, much is already being done. Many people are working on these and many other valuable initiatives on a daily basis. These are the people we need to heed, rather than the posturings of a self-serving organization seeking only to advance its agenda of eradicating our sport. SF: How does the NTRA impact these initiatives? AW: We affect all safety and integrity initiatives primarily through the Alliance. We also have a shared mission with the Racing Medication and Testing Consortium, which is responsible for developing and promoting uniform rules, policies and testing standards at the national level as well as the coordination of research and educational programs that seek to ensure the health and welfare of racehorses and participants. There are numerous examples of how the Alliance has led to a safer racing environment at racetracks across the country through the implementation of best practices, which become model rules across the country. Racetracks cannot achieve accreditation without participating in The Jockey Club’s Equine Injury Database (EID). They must institute robust pre- and post-race veterinary examination protocols to monitor the horse. There are infectious disease programs that must be in place. We promote the full adoption across the country of the RMTC’s National Uniform Medication Program. Prior to the formation of the Alliance, starting gate crews were not required to wear safety helmets; now it is commonplace everywhere. The Alliance was at the forefront of the aftercare movement through the institution of programs at racetracks across the country. Through the Alliance, there are racing surfaces standards and training and continuing education programs for all racetrack employees having direct contact with the horse. Earlier this month, the Alliance and RMTC co-hosted a regulatory veterinarian CE program that drew more than 60 veterinarians representing over 50 North American racetracks and six countries. I could go on. There have been literally hundreds of safety protocols and industry best practices promoted by the Alliance and implemented by racetracks in the past decade. It is noteworthy that according to The Jockey Club’s most recent announcement concerning the 2018 EID statistics, Alliance accredited racetracks that disclose their fatality rates achieved the lowest average rate for equine fatalities per 1000 starts–1.45. Thus, Alliance accreditation is moving the needle in the right direction for our industry. Racetracks representing 75% of the North American pari-mutuel handle are Alliance accredited, but we need every racetrack to embrace the program. SF: What are your concerns about states implementing ballot propositions banning racing? What is the NTRA prepared to do to counter these initiatives? AW: We are always concerned about legislative initiatives that threaten our sport. The NTRA stands ready to assist in countering any state referendum but, as we have said already, the best defense is a good story to tell of bringing about real change in attitude and result. That is the best way to counter the opposition. SF: In times of crisis in racing, many lament that we don’t have a national office or spokesperson. Should we? Can we? AW: The logistics of a national office are daunting to say the least. The different commercial interests of the various entities in racing–racetrack operators, trainers, owners, breeders, jockeys and regulators–make it a very high hurdle that is very difficult, if not impossible, to overcome. Also, horse racing is state regulated. This is why we formed the Alliance, to provide a non-governmental, self-regulatory structure for the improvement of the sport. The purpose is to work constructively with state regulators and stakeholders to ensure that the industry is regulated in an effective, aggressive manner. The Alliance is nimble, and where there is consensus, it can move quickly to push the adoption of many reform efforts that are already underway across the country. Every racing commission in the country should be working with the Alliance and the racetracks they regulate to promote the highest degree of safety and integrity. 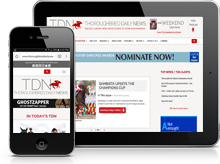 The NTRA speaks for its membership, which includes all facets of the industry. We have done so in past crises and we will do it again. The rise of social media has made it very difficult in certain circumstances to speak with one voice. However, because of social media, we are hearing from new voices and new perspectives and that can be a very good thing. SF: They say that there is an opportunity in every crisis. What is racing’s opportunity right now? AW: The safety and welfare of our equine and human athletes must be paramount. The overwhelming majority of individuals who derive their livelihood from horseracing agree with this statement. If we can come away from this crisis with our commitment to safety and welfare more firmly established and put into practice by all segments of the business, we will not only survive this crisis, but also emerge in a better place.